They were seized from a Jerusalem auction house in 2012 and are now officially back in Egypt. But on it’s way to Saudi Arabia. Author Joshua Hammer discusses his new book on the saving of Mali’s manuscripts. Countering cultural appropriation in fashion design, a non-profit that supports Indigenous women in fashion in Toronto. The Navy will distribute important info about wrecks to all ports and a national register of shipwrecks will eventually be created. More than 4000 objects were displayed at the Ministry of Culture to celebrate their return from various countries. A truly astonishing report. Fake archaeologists digging at sites and pretending to be official? The woman defaced rocks in the national park was ordered to serve 2 years probation and complete 200 hours community service. 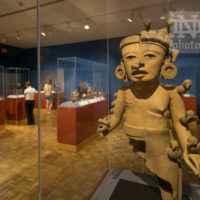 Did Notre Dame’s museum just buy a collection of Precolombian objects stolen from Jay C. Leff in the 90s? Is Giulano Ruffini selling fakes? He insists he has never presented a painting as the real thing. Hirst says he designed the bracelet in 1988, before the Canadian artist who is suing him created her jewelry. The settlement was announced in May, it is now clear that Black gets the sculpture. “There is no public access to the cemetery, so investigators believe someone would have to know about the private land where it is located.” The grave was from 1881. An icon of Our Lady of Perpetual Help was stolen from St. Joseph’s Catholic Church. “Your article has helped me see that provenance can be investigated”: shocking words from a Harvard scholar. Perhaps the most unbelievable part is that credible scholars refused to research the origins of this fake piece. The area is estimated to contain more than 100,000 cultural and archaeological sites which are unprotected. They are calling Bear Ears “America’s most significant unprotected cultural landscape”. The board of the artist’s estate has been dismissed over suspicious payments made to themselves. Among all the other horribly illegal things the police found metal detectors and looted antiquities. Arrests of 32 people were made in Alexandroupolis, Orestiada, Thessaloniki, Veria, Edessa, Skydra, Mykonos and Santorini. Andrew Shannon took 57 books from the library of Carton House in Kildare. Shannon was previously jailed for damaging a Monet painting in the National Gallery in 2014. The piece stolen from Napi was returned from the Cinquantenaire Museum in Brussels who bought it from an unnamed private collection. The permanent display of the mafia boss Gioacchino Campolo’s seized collection has opened. Nahmad claims he will not settle and has a 1947 French court record that he claims indicates that the painting he has was not the one that was taken during WWII. The wreck of the Blücher is under state protection orders to prevent looting by divers. A number of the pieces, including a ‘shrunken head’, were fake. The seized items are currently in the Malaga Museum. After finding broken locks on the fence that protects the site, looting prevention measures are being enacted. The willow piece, which was chosen by children from a local primary school, was deliberately set on fire. Taken, Stolen, Returned…and returned again to Perth? A proposition to move the Stone of Scone to, Perth where Scone Palace is. 16th century silver items were stolen from St Mary’s Church in Fowlmere. A new scheme to encourage voluntary recording of finds in English and Welsh waters. The piece was designed for Cardiff Castle in 1874. This is the last one still in private ownership. The church dates back to the 12th Century and rainwater got into the building, damaging fixtures. Rainwater has now damaged the pews at All Saints Church. The Bohdan and Varvara Khanenko National Museum of Arts will temporarily show the 17 seized paintings. A restorer and dealer were convicted of creating Whiteley fakes and are due to be sentenced. The villagers are urging a Dutch court to have the monk’s preserved body returned from a collector. The raids on Deenadhayalan have spread out of Chennai. What more will be found? Bihar, which houses Jian, Hindu, and Buddhist art, has been one of the worst places in India for looting. “The department elaborated the 46-point security measures for protecting temple assets”. It is likely that some of the seized idols can be linked to specific temple thefts. A quick overview of what’s been happening recently in anti-idol smuggling in India. A call for special squads to prevent idol theft and a judicial commission to question recent thefts. 85 year old Deenadhayalan had a laptop, a computer, some hard disks and pen drives…what is on them? Looking at the actions of G. Deenadayalan; a wonderful graphic included. The ASI say they issued certificates only to non-ancient pieces and are not being investigated for wrongdoing. The trader in Mamilla mall had hundreds of antiquities but no license to sell them. The treasure hunters themselves are probably the only ones surprised that they haven’t located the missing masterpiece. The Lumbees have filed a complaint against the use of their logo and slogan for beer sales which they say plays into offensive stereotypes. Massive sales of seized ivory don’t undercut the market and prevent poaching, it inspires more sales and more poaching.